Preheat oven to 450 °F. Sprinkle 3 large rimless baking sheets with flour. 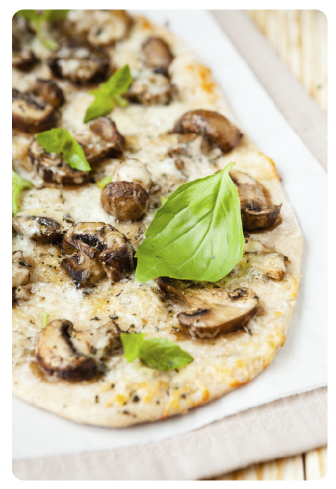 Place 1 pizza crust on each prepared sheet (can be a pizza or baking stone). Place porcini in bowl; sprinkle with 3 tablespoons oil, salt, and pepper; toss. Arrange 1/3 of cheese and 1/3 porcini on each pizza crust. Drizzle each with 2 tablespoons oil; sprinkle with thyme. Bake pizzas until crusts are brown at edges and crisp on bottom, about 20 minutes. Transfer pizzas to work surface. Cut pizzas into wedges and serve. Yields three 12 inch pizzas. Recipe adapted from Bon Appètit, October 2005. “The Barbera grape, once ubiquitous as a carafe wine in Milan’s cafes, has grown into one of the stars of the modern Italian wine scene. Powerfully fruity, with rich cherry and raspberry notes, it finishes with a tangy, lip-smacking edge along with some herbs and mint. 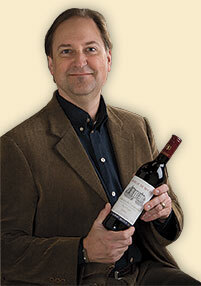 Really fun wine.” – Doug Frost, Master Sommelier and Master of Wine. This entry was posted in Recipes and tagged barbera, buffalo mozzarella pizza, food pairing, piedmont DOC, piedmont wine, pizza and wine pairing, pizza recipe, pizza wine, recipe, riva leone, wine, wine pairing. Bookmark the permalink.